Do you want to transform your garden? 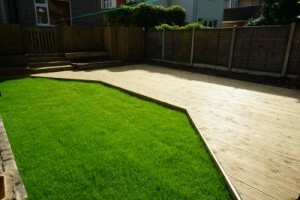 Bamboo Landscapes are the best landscapers in Poole. We provide both hard and soft landscaping services to turn your garden into a haven. Don’t hesitate to contact our team to discuss the possibilities. The garden is a place where we enjoy the warmer weather, spend precious time with family, and entertain guests. This is why we believe that every one of our Poole customers deserves an attractive and tranquil garden that is unique to them. No matter what kind of designs and ideas you may already have in mind, we will discuss these with you to create a truly unique landscaped garden. Read below to find out more about the different landscaping services we provide at Bamboo Landscapes. What makes our landscapers the best in Poole? The possibilities are endless when you select Bamboo Landscapes as we have a huge selection of materials and colour schemes for you to choose from. Whether you want a focal water feature, or an array of flowerbeds to keep as your newest project, our Poole landscapers will be happy to oblige. We can also take design ideas from around the world if you would prefer an Italian or Japanese theme, for example. Our Poole landscapers will tailor their services to suit your requirements and work with your budget to ensure you get the most for your money. Additionally, we have experience landscaping gardens of any size, so no matter how big or small your garden may be, we can come up with the perfect design. We have developed the best techniques to make even the smallest gardens seem bigger and lighter than before. 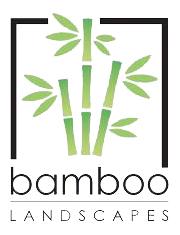 At Bamboo Landscapes, we work in a tidy and considerate manner to ensure we cause minimal disruption to your home life. Our environmentally friendly way of working means that we strive to keep waste materials to a minimum, but we make sure that all discarded materials are disposed of responsibly. From the initial design right the way through to completion, you can guarantee a superb customer service and a stunning result. For some garden inspiration, take a look at our gallery and see what our Poole landscapers have created for previous clients. Don’t settle for anything less than the best landscapers in Poole. For more information about our quality landscape services, call 01202 805 882 or send an email to bamboolandscapes@hotmail.co.uk.